Wat Kaeo Phichit is located on the right coast of Bang Pakong River in Prachinburi Municipal Area, 2 kilometres east to town. Being an old and major temple, the place was built in 1879 by a Prachinburi millionaire. 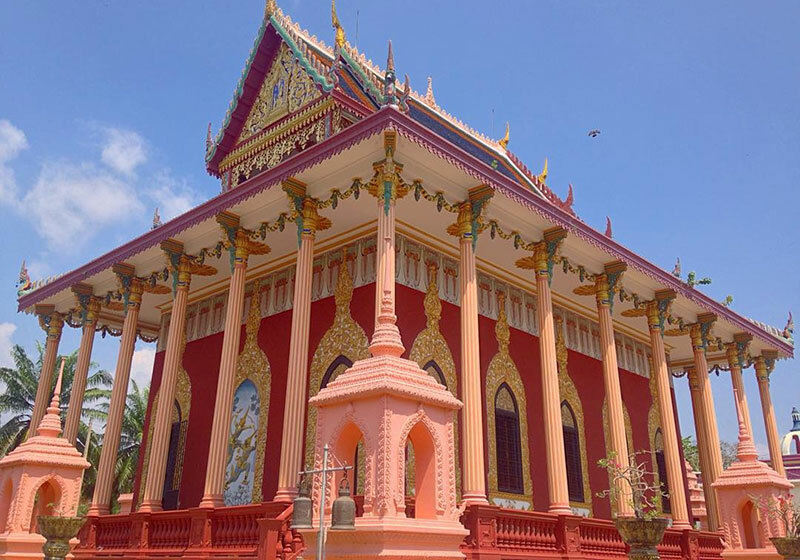 In 1918, Chao Phraya Abhaibhubate (Chum Aphaiwong) constructed a new chapel (ubosoth) which had an architectural design of mixed arts styles of Thai, Chinese, European, and Cambodian. The significant attractions are the Ramayana mural paintings on the exterior of the chapel, while the interior are ornated by the paintings of the legend in Buddhism by the royal artists of King Rama VI. In front of the chapel is a concrete building with the style of Greek or Roman dome. Moreover, within the compound, the temple also features a holy scriptures library, and 3- facet meeting hall (sala) at the pier with shaded atmosphere. Short Description: Highlights at the temple include murals of the Asian epic, the Ramayana, on the exterior of the chapel. The interiors are decorated by paintings depictingBuddhist legends, created by the royal artists of King Rama VI. The temple is located on Kaeo Phichit Road, in Tambon Na Mueang, approximately 2 kilometers east of the town.